Beat the sugar with the butter and the coffee for a minute; add the egg and beat one minute more. Stir in the flour and the chocolate morsels. 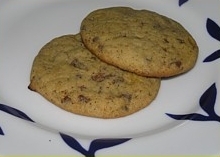 Make little heaps on a greased baking tray and bake the cookies 8-109 minutes at 190 degrees Celsius. 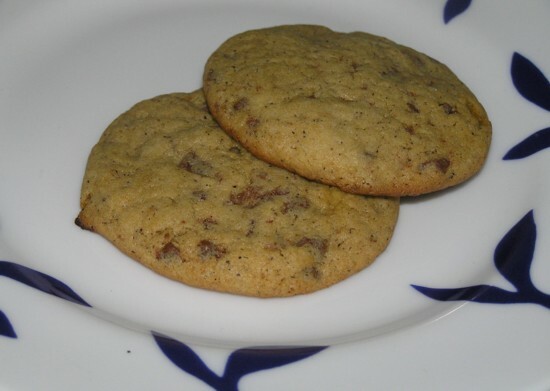 The story goes, that a customer of Neiman Marcus (a very expensive shop in New York) bought the recipe for this cookie in the restaurant of this shop, thinking he paid $2.50. He was shocked when he found out that he was charged for $250 afterwards and decided therefore, that for such a price he might as well share the recipe with the whole world. True or not, this page tries to contribute to that target. It is Black Poetry Day in the USA. The black poet Jupiter Hammon was born on 17 October 1711. He started off as a slave and found that black people had earned their place in heaven being slaves. Click on culinary calendar for more links between cooking and worldwide history. Mix the flour, coconut, brown sugar and oats. melt the butter with the honey, add the soda bicarbonate and 2 tablespoons of hot water and add this mixture to the flour, mix well. Put teaspoons of this mixture on a greased oven tray and bake 15 minutes at 160 degrees Celsius. 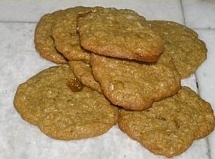 Anzac biscuits are the national cookies of Australia. Anzac means "Australian and New Zealand Army Corps". These cookies were sent by wives and mothers to the soldiers in the First World War. On 25 April, Australia and New Zealand commemorate those who died while fighting at Gallipoli in World war I in 1915. Click on culinary calendar for more links between cooking and historical events.Click on culinary calendar for more links between cooking and historical events.